Let´s improve pupil´s vocabulary! 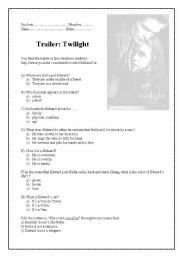 This movie presents an interesting theme to teenagers: vampires, love... You can do these activities without watching the movie (activities A,B,C)and if you want you can choose some scenes to describe the characters(activity D). This is a ws based on the trailer of the movie Twilight. The students will love to do it!! 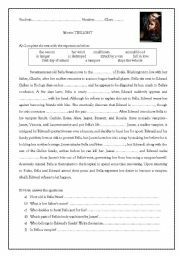 After watching some scenes of the movie Marley and me, you can do this worksheet with your pupils. 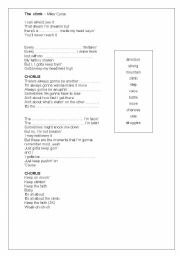 This ws has pre-listening and after-listening activities. It´s a listening ws. It has a beautiful message.